We received word that the shutdown of the Federal Government has temporarily ended. This move will allow Federal workers to return to work, and their paychecks. 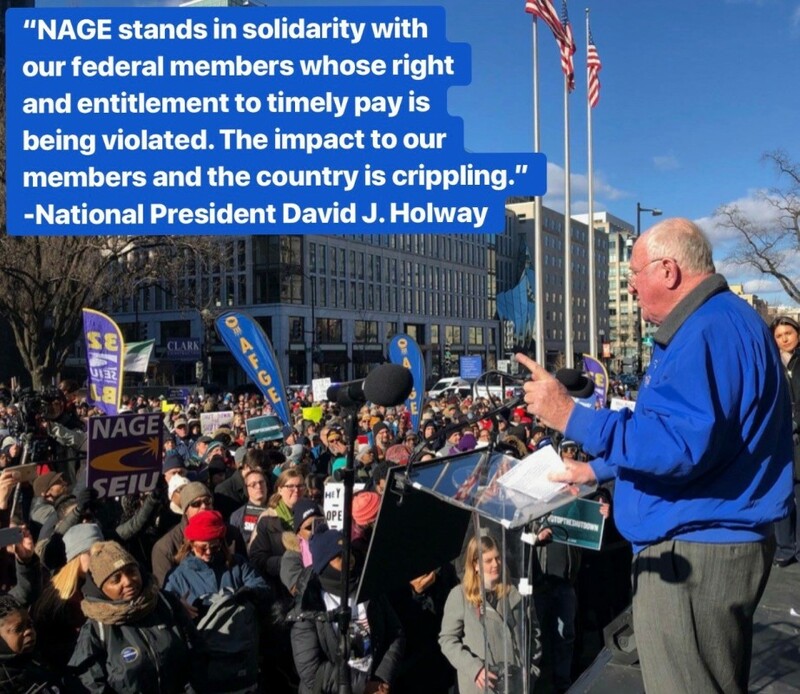 NAGE fought this shutdown every step of the way alongside other labor unions, and will continue to fight for out Federal member sin the aftermath. Check out the article in the Boston Globe for further information on what led to this breakthrough, including the extreme delays at both LaGuardia and Newark airports. "In an embarrassment to Trump, a Democratic proposal to end the shutdown got two more votes in the Senate on Thursday than a GOP plan, even though Republicans control the chamber 53-47. Six Republicans backed the Democratic plan, including freshman Senator Mitt Romney of Utah, who’s clashed periodically with the president." As the longest government shutdown in American history continues, this past Friday approximately 800,000 federal employees went without their paychecks, even though more than half have been required to work since the start of the shutdown. That same day, NAGE and two other Federal unions filed a lawsuit on behalf of the essential federal employees who continue to perform unpaid work. We will keep you updated as the lawsuit progresses.